According to the most recent data by UNHCR, the United Nations Refugee Agency, almost 60 million people around the world have been forced from their home. Almost 20 million of those are refugees, of which nearly 5 million are from Syria where a civil war between Bashar al-Bassad’s government, Sunni rebel groups, ISIL and various other factions has raged for more than five years. Nearly half of those refugees are under the age of 18. The great majority are seeking refuge in the neighboring countries of Turkey, Lebanon, Jordan and Iraq, mostly in camps. A smaller number, those with the financial means or with a higher risk tolerance try to pursue a better way of life making it to a Western European country. 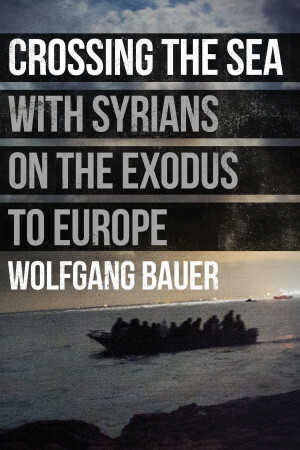 Crossing the Sea: With Syrians on the Exodus to Europe by Wolfgang Bauer is a newly published book documenting the pressures and perils these journeys bring for those people who dare undertake them. 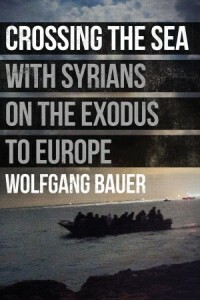 The author Wolfgang Bauer, is an award winning German war journalist who, along with Stanislav Krupar, a Czech photographer, went undercover with a group of refugees trying to make it from Egypt to Italy via the Mediterranean Sea. At the point when the writer and reader meet them in Egypt they had already completed their initial exodus from Syria, some of them even created new lives there until the political changes in Egypt made them unwelcome. We meet mostly middle class, educated people who leave behind businesses, professions, homes and families, some of them using their last cash reserves to escape prosecution and find a way to continue life in a safe and productive manner. We follow them from one stop to the next on their long, illegal journey via bus, boats, trains and planes and virtually experience their fear, loss of control, inhumane conditions and possibly even death, along the way. 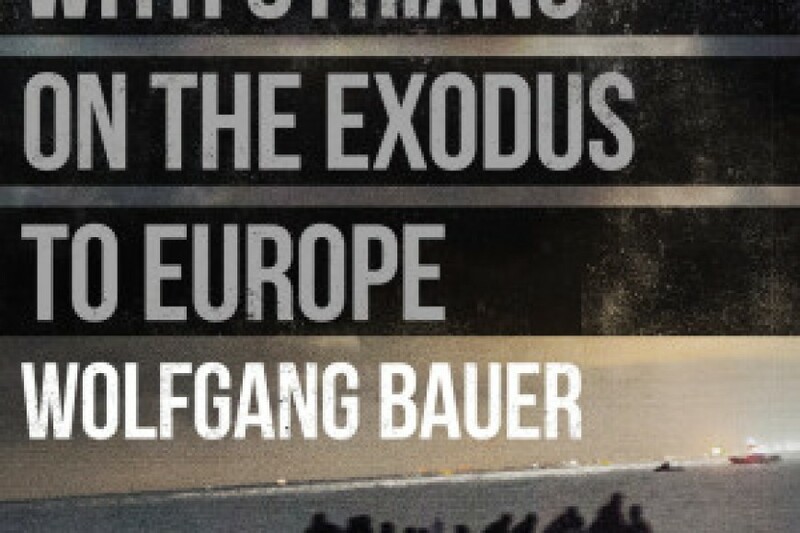 One of the most chilling aspects of this book is the concept of refugees as a business. The fact that several groups of smugglers profit from the despair of others, and often in a very unsatisfactory and unsafe way for their clients is very disturbing. Granted, this is not a particularly uplifting book, but with only about 120 pages including a photo section in the middle, it is an eye opening addition to the newspaper headlines and short articles we read online. Crossing the Sea is an appeal to our collective conscience to push for a more humane refugee/asylum policy and greater international involvement to end the Syrian civil war and stabilize the Middle East.